Excuse me, but I beg to differ. Every book should start with a book proposal. The only exceptions are books for personal distribution to family members and friends and, perhaps, instructional or educational books with limited distribution to a specific company, organization or industry. Books written with a national, international or even regional audience in mind, in order to be successful, require tremendous forethought. And this means, write a book proposal first. You wouldn’t invent and manufacture an odorless perfume or a new type of screwdriver without first exploring the success potential. You would determine, is there a need for this product, what is the competition, who would use it, what steps are necessary in order to produce it, how much would it cost to produce it and how would you market it? Well, HELLOOOOO. A book is a product, too. In order to determine the potential for a product, you develop a business plan. When that product is a book, you write a book proposal. + Is there a market for this book? + What titles compete with yours? + How does your book differ from others on this topic? + Who is your target audience and how can you reach them? 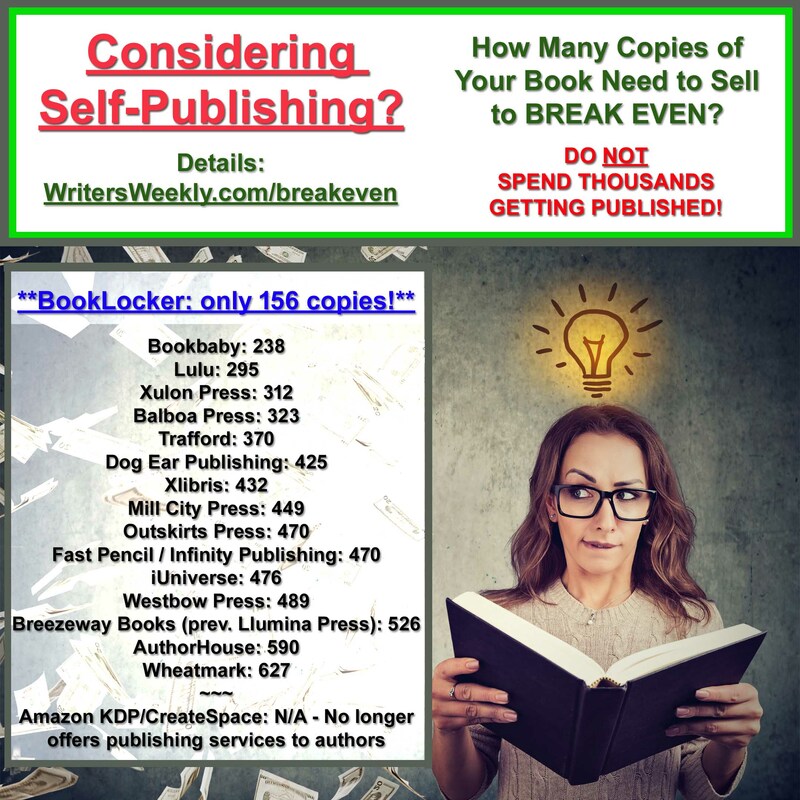 + What are your publishing options? + What are the possible consequences of your publishing choices? + What are your responsibilities as a published author? + How will you promote your book once it is published? + How realistic is your vision for this book? + What is the best way to organize your book? + How can you make it more salable? Memoir authors seem especially reluctant to let anything outside of them influence their book. I was told recently, “This is my memoir and it must be told my way.” Okay, but if you write a book proposal first, you might discover even subtle ways to make your memoir more desirable to a publisher. Let’s say that you plan to write a chronological account of your life. Unless you have celebrity status, you probably don’t have even a slight chance of finding a traditional royalty publisher. Weave some fascinating bits of historical information throughout the book, play up your involvement in a major national organization or give your memoir a self-help or how-to flavor and you just might have something worth pitching. What difference would these ideas make toward the success of your memoir? + You have overcome a lifelong fear such as agoraphobia, ailurophobia or caligynephobia. + You traveled the world with a cat. + You endured childhood abuse. + You are a triplet. + You care for a loved one who suffered brain damage in an accident. + You were mauled by a dog (bear, ostrich or lion). + You are an amputee who participates in sports. + You’ve traveled to many exotic places practically free. If you are serious about getting published, do not write your book on a whim. Start with a book proposal and this is true for nonfiction, memoirs and fiction. Another reason for writing a book proposal is for the advance. Many publishers of all sizes offer an advance against royalties. Now wouldn’t it be nice to have the money to sustain you while you work on the manuscript? Your platform, by the way, is your publicity angle – your level of prominence or respect in your field, as a writer or in general. 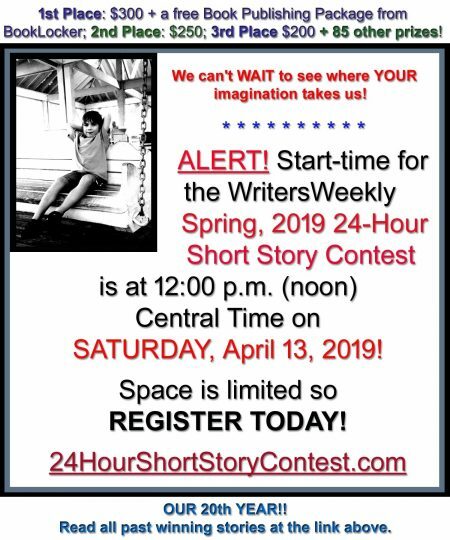 One publisher said, “Platform is an author’s reach.” Another one told me, “Platform is your audience – your visibility.” The publisher wants to know that you have a following, a network or important connections. He’ll be interested in the fact that you are a skilled promoter or public speaker and that you have access to large audiences on a regular basis. It will impress him if you can honestly say that you are a columnist for a magazine or newspaper in the area of your book topic, for example. The publishers I surveyed all confirmed that an author today needs a platform. They typically reject manuscripts by authors who haven’t established a platform. I once worked with a client who was writing a marvelous self-help book for women. She was using a fresh angle based on her expertise as an artist. I was sure that she could land a major publisher for her project, except for one thing. She did not have a platform. She wrote in her book proposal that she would present seminars based on the concept of her book to large groups of women in major cities and invite high profile speakers to participate. I was impressed until I found out that she was blowing in the wind. She had no organizational experience and no public speaking or teaching experience. Nor did she have a following. I suggested that she put her book on hold for a year and go out and present at least one seminar – in other words, begin to establish a platform. Then, instead of telling the publisher what she plans to do, she can give him the details of her successful promotional experience. + Become a better public speaker. Join a Toastmasters club. Seek opportunities to practice your speaking skills. Go out and speak on your topic, if applicable. If you’re writing a historical novel, establish a connection with local, regional and state historical societies, clubs and associations where you might give talks, etc. + Prepare to give readings. This is a popular method of promoting fiction books or memoirs. Do you have a good reading voice? If you need voice work, get help. And then go out and practice. + Write articles for national magazines. + Become columnist or regular contributor to a Web site, newsletter or magazine related to your topic. + Seek an endorsement for your book or support for your project from a well-known national organization. + Establish and nurture connections with high profile people in your field. + Borrow, buy and/or build a mailing list. + Build a Web site and start a blog related to your book. Offer something of value and promote, promote, promote. + Take a class or read several good books about promotion in general and book promotion in particular. + Become familiar with appropriate talk TV and radio shows nationwide and how to land interviews. + Do something newsworthy. I met a man years ago who wrote a novel featuring a homeless family and the homeless way of life. He wanted help promoting his book. I suggested that he get national coverage for his book by starting a project to help the homeless – make sandwiches and serve them to the homeless in the park each Sunday; offer an informal, outdoor church service for those who want it; sponsor one homeless family each year, for example. How would he get publicity for his efforts? He would write news releases telling about his project and his book and send them to newspapers throughout the U.S. He may even land a few radio, TV and magazine interviews. What Are the Parts of a Book Proposal? The flip answer is, “Whatever the publisher requests.” Not every publisher wants the same thing when it comes to a book proposal. I cannot stress enough the importance of studying each publisher’s Submission Guidelines. 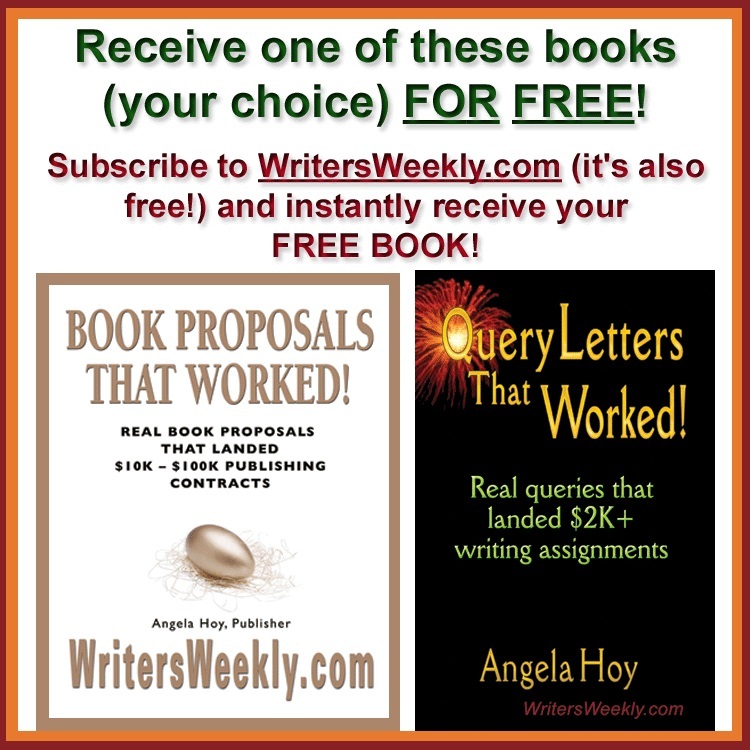 You’ll learn what kind of manuscripts that publisher is looking for and how he wants your project presented. 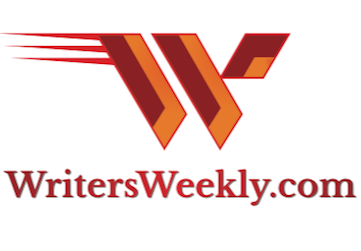 Find Submission Guidelines at the publisher’s Web site or request a copy by email or mail. Market Analysis or comparison of competitive works. Samples of illustrations, photographs, etc. A Fiction Book Proposal should include? authors. Shall we start calling it a pitch kit? How Important is a Book Proposal, Really??? And one lone publisher said that the sample chapter is the most important part of a book proposal as far as he’s concerned. Isn’t it odd that not one publisher even mentioned the Synopsis? Well, what did we learn from this little survey? For me, it just drives home the point I keep trying to make through my consultations, my workshops and my writing, that all parts of a book proposal are equally essential and that every hopeful author needs to write one.